The Maryland Court of Appeals just affirmed a lead paint verdict against the Baltimore Housing Authority. This is yet another case where a governmental entity sought refuge of the Local Government Tort Claims Act. Thankfully, the Baltimore Housing Authority could not avail causing brain damage to a child via this loophole, at least not in this case. The plaintiff lived in a Baltimore Housing authority for two years after her birth in 1995. 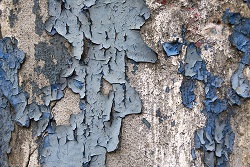 She was exposed, she alleged, to chipping and peeling lead based paint. Her lead level was 13 mcg/dl. When I defended these cases in the ’90s, we would have rolled our heads at that number. Now we know better. 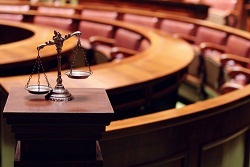 A level like this can cause real injury and can bring a large jury verdict in Baltimore. The story from here is familiar. The plaintiff’s mom noticed classic lead-related injuries manifested themselves early: attention issues, delays in learning to read, and behavioral problems. Plaintiff’s experts testified that she lost 5-7 IQ points. The Baltimore Housing Authority put on its usual witnesses – Patrick Connor, Joseph Scheller, Joel Morse, etc. – to argue that the girl was not injured by lead-based paint. The jury did not buy in, awarding $160,000 in future lost wages (which seems low) and $1.1 million in non-economic damages. Under Maryland’s cap for non-economic damages, this portion of the award was reduced to $530,000. Why so low? The injuries occurred in 1995 when the cap was much lower. 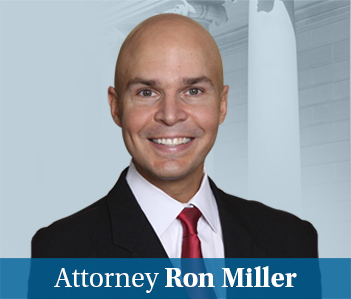 The Housing Authority filed a motion for summary judgment claiming that Plaintiff did not comply with the Maryland Local Government Tort Claims Act. Plaintiff agreed there was not strict compliance with the Act. But she argued, “I was a toddler when I should have provided notice, for crying out loud.” Of course, I’m making that up. But she should have been able to make that argument in a more just world. Anyway, what she did argue is that while she did not strictly comply, the claim should continue because she substantially complied with the LGTGA’s notice requirement. What did she do? Her mother gave her lead results to a Housing Authority representative. So the trial court concluded that since the Defendant received the child’s elevated blood-lead results, it was not exactly a stretch that it would get sued. It also gave the Defendant the ability to investigate the allegations in a timely fashion which is what the LGTGA is supposed to give them. The court said this was not a substantial compliance notice question. So Plaintiff loses? No, I already told you Plaintiff wins. There is also a “good cause” exception in lead paint cases. Why? Because of cases like this where someone tries to take away a child’s damages from a brain injury that could have been avoided because, as a child, they did not provide notice. Here, the standard is abuse of discretion. That’s a tough nut to crack and the Housing Authority can’t crack it. The court used basically the same facts and said that while it is not substantial compliance, it is certainly not an abuse of discretion to say that it is good cause. I was not planning on writing about this case because the holding only applies to lead paint cases against municipalities, which is almost always the Baltimore Housing Authority. But a win is a win and I just felt like writing about it.